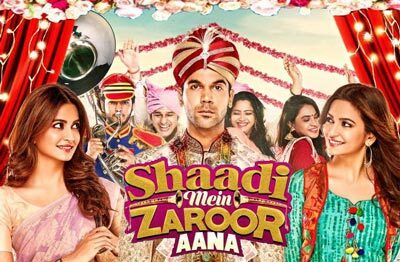 Shaadi Mein Zaroor Aana is an Indian drama, family and romance Hindi film. 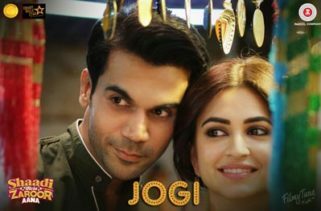 It is featuring Bollywood stars Rajkummar Rao and Kriti Kharbanda. The Director of this movie is Ratnaa Sinha. Kamal Pandey has written the story. The movie was released on 10th November 2017. The Music directors are Anand Raj Anand, Arko, Kaushik, Akash, Guddu, Rashid Khan, Zain, Saim and Raees. Arko, Shakeel Azmi, Kunaal Verma, Kumar and Gaurav Krishana Bansal have written lyrics of song. Producers of this movie are Vinod Bachchan, Manju Bachchan and Kaleem Khan. Production Company is Soundarya production. 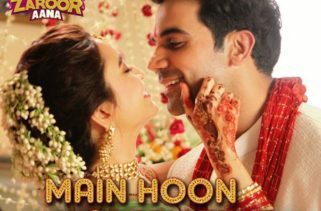 The film stars are Rajkummar Rao as Satyendra aka Sattu and Kriti Kharbanda as Aarti Shukla.